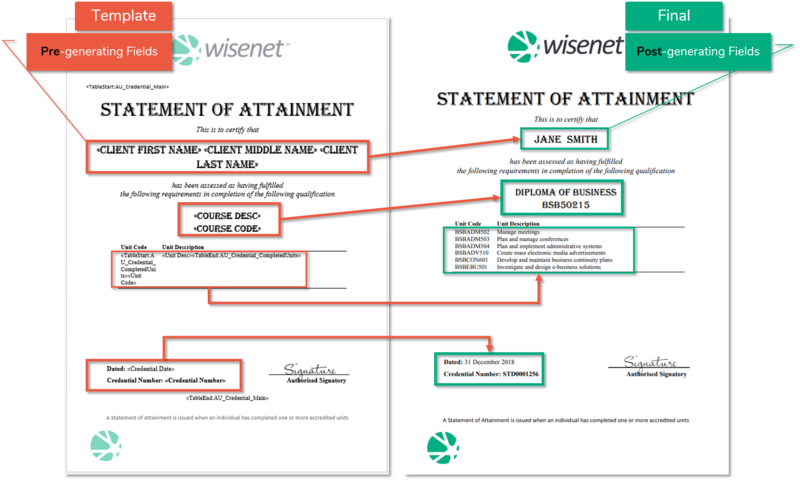 Each time a credential is generated in Wisenet, it is automatically added to a central credential register for audit purposes. With our Bulk option you are not limited to produce credentials for individual course enrolment only. Either Save or Print copies of the Credentials, or do both! Soon you will even have the option to Email Certificates directly to Learner through Wisenet. Need to Delete a Requested Credentials? The option is there! Need to Revoke an Issued Credential? You can ‘cancel’ it! Is that compliant? Yes it is because it will remain on the register but will be marked as cancelled. This ensures the integrity of your credentials register. Should you use our readily available Credential templates or should you customise your own template? You can use both. If this is the first time you are using Credentials in Wisenet, you can start by using the generic template documents we provide and format them as needed. Then once confident with the process you can create your custom templates. We have compiled a number of resources on our Resource Centre to guide you in this process. But if you feel you might need extra assistance, simply contact our Support team. 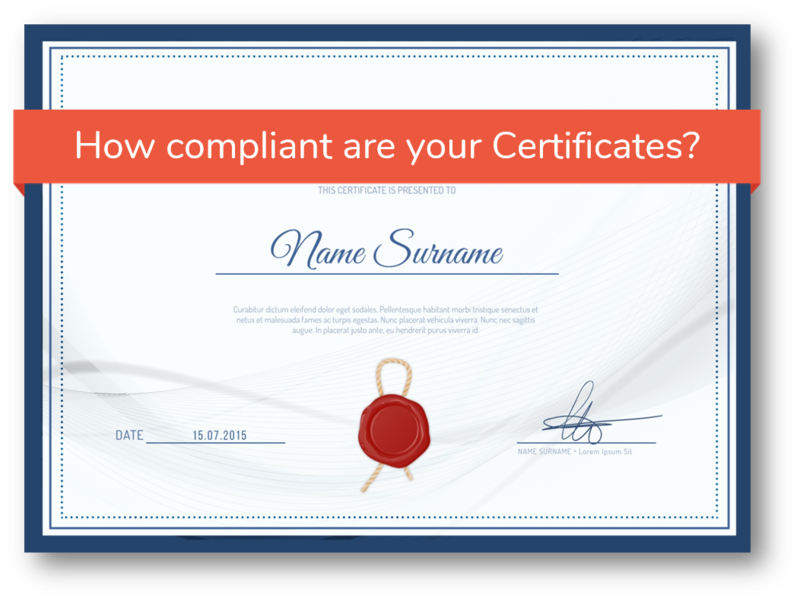 Find out now if you are at risk of being non-compliant with your Certificates.